If you think that default Magento ratings table on the product review page is ugly and hard to use and you want to replace it with easy to use rating stars you are not alone. After searching for it for a while (because I didn’t want to reinvent the wheel) I found that there are no simple and free Prototype JS solutions that I could just plug in to all my projects and be done with it so I decided to make my own. I am a big fan of simplicity and I think you’ll be able tell once you try this plugin. I know that there are a ton of simple and free jQuery solutions but as we all know Magento still uses Prototype JS and I don’t want to add jQuery to the project just because of review stars. The plugin is about 2KB with the CSS file and it’s extremely easy to use. The code is on GitHub and you can download it from here. Add srka.review.stars.min.js (or srka.review.stars.js) and srka.review.stars.css files to the product page. Open app/design/frontend/[YOUR_PACKAGE]/[YOUR_THEME]/template/review/form.phtml and add the following code just below the #review-form closing tag. Srdjan is a Frontend Developer with a passion for pixel perfect design and great user interfaces. He also designed and developed this site and is dedicated to provide best and most useful articles about development in general. Hi Gen and thank you for your comment. I also implemented it on my local machine on vanilla Magento CE 1.8 and it worked fine. I'll check it out. 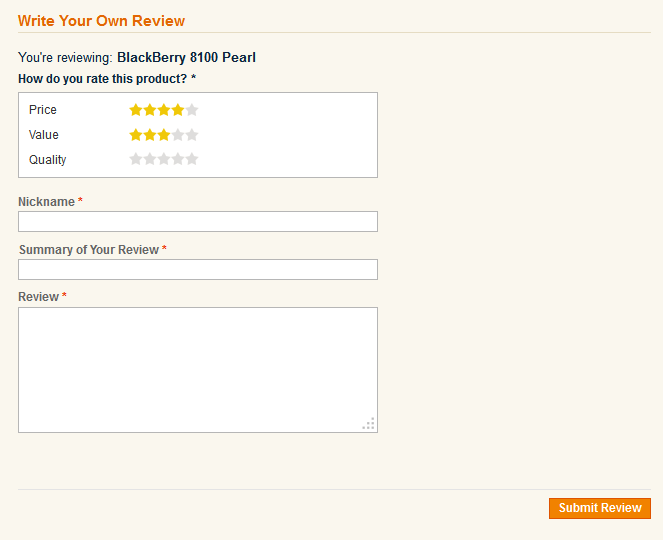 If possible, could you please share the URL of your product review page. Excellent Customer Support, helped me installed an extension for totally free. Great job. Hi Does the extension make an average rating of all ratings? This for metadata purposes. Thanks E.
Hi euge, the extension does not deal with ratings at all. 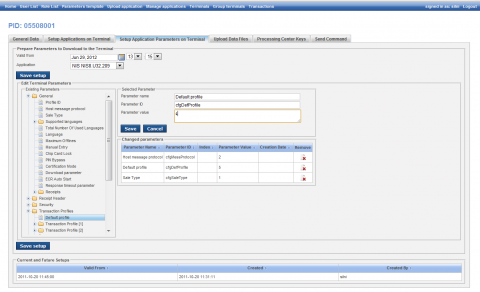 It just replaces the default Magento input table with nice looking and more user friendly stars. It's just a better input method to choose the rating when writing a product review. We have an experienced team of certified Magento developers ready to take any challenge. Australia based online gift selection and delivery service specifically designed for men (and ladies) who want to show how much they care and appreciate the women in their life by sending them a gift. Our own product for remote management of POS terminals. Magento: How to check if product is in the wishlist? Copyright © Lead IT Ltd 2013. All rights reserved.